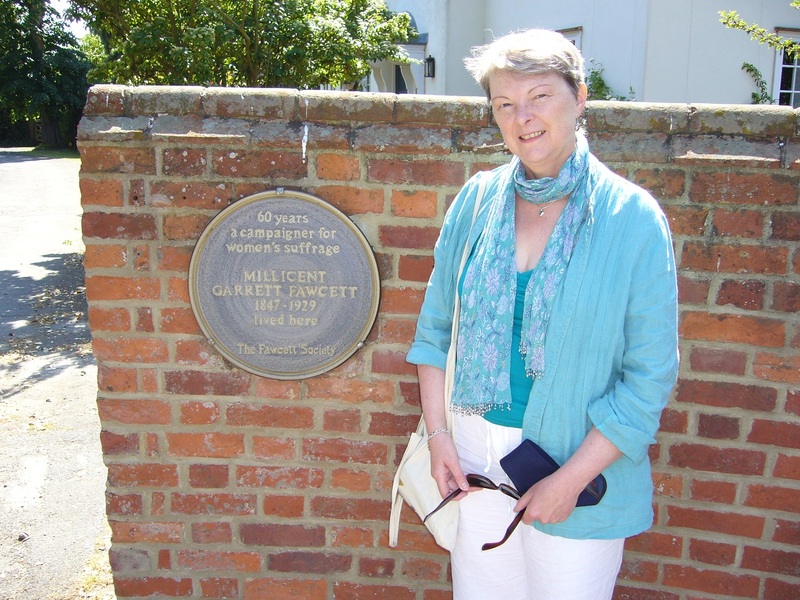 One of the reasons I’m so pleased that my latest historical novel, Bloodie Bones: A Dan Foster Mystery, has been longlisted for the M M Bennetts Historical Novel Award 2016 is that M M Bennetts herself took the research for her books very seriously. It’s an aspect of writing historical fiction that I’m also passionate about. I’m often asked where I do my research, and my first answer is usually “not on Wikipedia”, because it’s not sufficiently reliable or relevant. Wikipedia’s potential reliability problems are made very clear in its notes to site users. Anyone can add or edit entries. Since many of the entries are anonymous, there’s often no way of knowing whether the contributors know what they’re talking about. Personally, I’d rather spend my time searching out dependable sources. If I use Wikipedia, it’s usually because I’m looking for pointers to those sources. I spend more time looking at the references than the article. But unreliability isn’t the only reason I tend to ignore Wikipedia: it just isn’t relevant to me as a historical researcher. For me, one of the main reasons for doing research is to unlock the voices of the past. We want to know how people lived, ate, slept, worked, fought, made love. We want to reimagine them, we want to bring them alive, we want to hear their voices. You won’t hear their voices on Wikipedia. In fact, you won’t hear many voices on Wikipedia. 90% of its contributors are male, with an average age of 26. They come mainly from Europe and North America, which means that large areas are under-represented. Maybe in a few hundred years’ time Wikipedia will be a brilliant resource for research into the attitudes of 26 year old males from Europe and North America, but that isn’t really much help to me. If I want to hear voices from the past, then I must, as far as is possible, go to sources from the past. I can’t do it all at my computer. So where do I go? I go as much as possible to the people of the past. I read their diaries, autobiographies and travel narratives. I read their novels, drama, poetry and newspapers. I look at their street directories and railway timetables. I visit the places they inhabited: castles, houses, towns, villages, factories. For me, this is one of the most meaningful ways of doing research. I go to museums to look at the furniture and objects they used. I go to art galleries to look at contemporary paintings, sketches, photographs, and maps. I listen to archive sound recordings and watch newsreels. I listen to their music – not just classical music, but the music of the people: sea shanties, ballads, protest songs. And I visit archives to read their letters and other documents. I know that doing research can be expensive. Bus and train fares, buying books, and so on, can be a problem, especially for self-published authors who are often working on a tight budget. But even for mainstream authors the days of big publishers’ advances to help with the costs of research have gone. Well-known biographers have to self-fund their research like the rest of us. So while it’s tempting to rely on the internet, if you want to produce a well-researched book, you’re going to have to step away from your computer. If you want more information and tips about using these sources, you might be interested in the text of a talk I did at Bristol Literature Festival last year – “Putting the Past in its Place” – which is available as a free download on my website here: Bringing the Past to Life. OVER TO YOU Does Lucienne’s approach to research chime with yours? Do you have further tips to share about best research practice? We’d love to hear them! 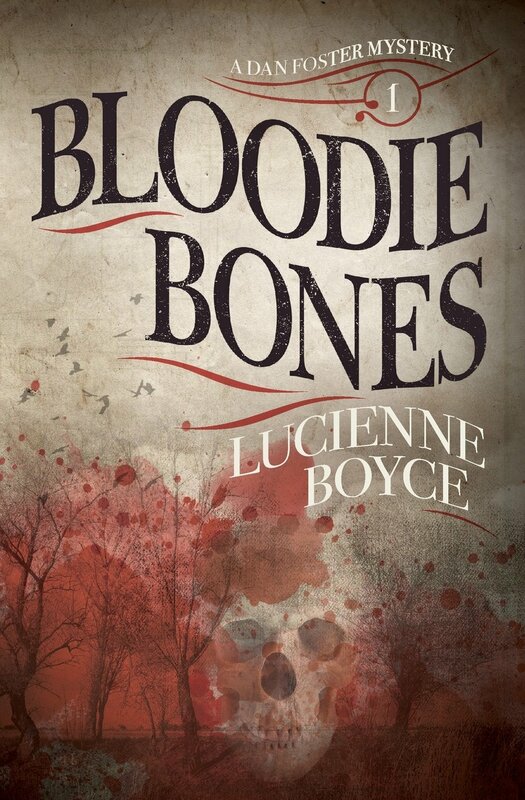 Lucienne Boyce writes historical fiction and non-fiction. She published The Bristol Suffragettes in 2013. 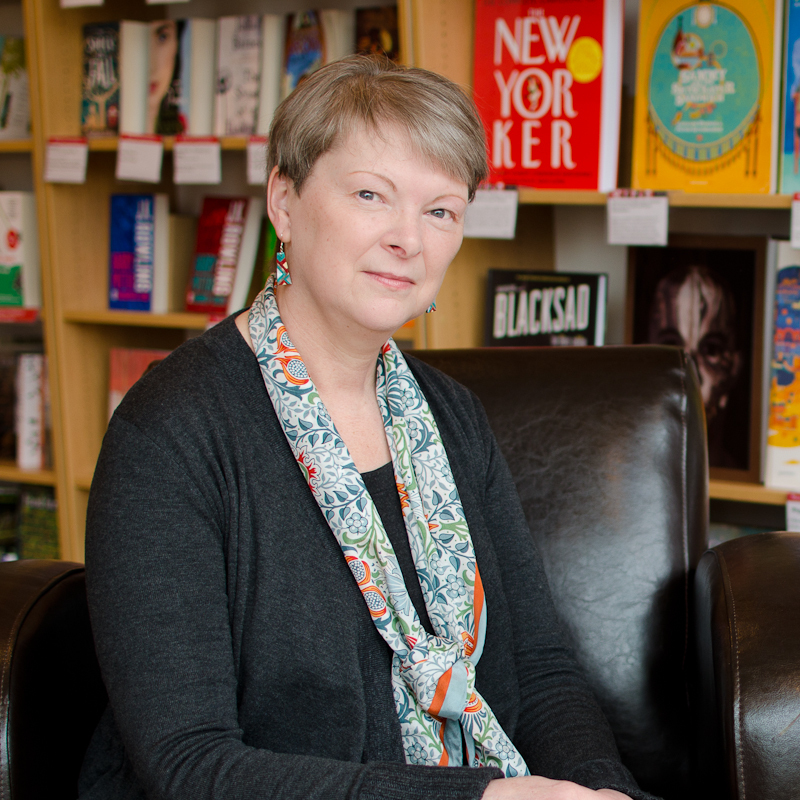 She has published two historical novels, To The Fair Land (2012) and Bloodie Bones: A Dan Foster Mystery (2015). 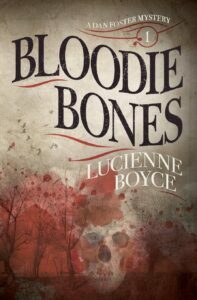 Bloodie Bones is a winner of the Historical Novel Society Indie Award 2016 and was also a semi-finalist in the M M Bennetts Award for Historical Fiction 2016. 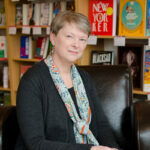 She has also published a Dan Foster novella – The Fatal Coin – with SBooks. The second Dan Foster novel, The Butcher’s Block, will be published in July. www.lucienneboyce.com. Does anyone know some good books or other media that explain how to do historical research online ( such as an overview of what resources are available, and how to utilize them )? It would be helpful if it also included help with non online resources? My first novel, The Devil in Black Creek, is set in the 80s, and my WIP is set in the 70s. I found the VH1 series “I <3 the 70s" and "I <3 the 80s", as well as the CNN miniseries "The Seventies" AND "The Eighties" were good sources of info. the paper overlaying the floor. al óleo fueron los flamencos. Great discussion. I write action/adventure set in 1920’s. Vic Challenger fights bad guys and cryptids so it is what I call lite sci-fi. I try to get facts straight. I always use Wikipedia but only as a starting point. It often provides synonyms and who, what, when, where ideas I didn’t consider. I use that info to do deeper research. Most info though does not get used without 3 sources agreeing. I have found conflicting info on .com, .edu and .gov sites. In book 5 Vic was going to use a plant to survive in the outback. Differing info on 2 edu sites in Australia made me drop that plant and use others (there are plenty edibles in the outback). Sometimes a reader will say something if they think you are wrong. One emailed me that Vic couldn’t use a Browning Automatic Rifle (BAR) in 1921. Brownings historical site says 1918 first manufacture and used last months of the Great War. I was glad I knew that. I use schedules, too. In book three Vic travels mail plane routes in ‘real time’ and leaves NY on the Olympic on a real departure date. In book 2 Vic visits Mongolia and I need the name for a town back in 1921. Most if not all Mongolian towns have had many names depending on Chinese or Russian influence or autonomy. I spent hours looking. Asked state reference librarians for help. After 2 weeks they said they could find nothing but referred the question to colleagues in Ulaanbataar, Mongolia. They found nothing in writing either, but thought I was right, there should be an earlier name. They asked elderly professors from the university and got an answer. Vic: Mongol may be the only place in the world where Dalanzadgad’s earlier name of Dalan bulag is written. I find research and what you learn to be fun and educational. Like – no highways in 1920; few people had refrigerators and often they died from carbon monoxide (freon wasn’t invented yet), and in book 5 Vic gets an indoor toilet and that was still rare in rural areas. Among other things, the historical research has given me a much greater appreciation for what we have and or the work of previous generations. I hope it gives reader some interesting surprises, too. Sorry for such a long post but I seem to like this topic! Dear Jerry Thanks for the response, very interesting tips on how to use Wikipedia effectively, and I’m impressed by your rigorous 3 sources agreement guideline. Like you I think research is great fun, and it’s such a pleasure to be learning new things all the time. And it’s wonderful too to appreciate the work of the people who’ve gone before us. Your stories sound like fun! I think a lot of people are getting messed around by the difference between fact and feeling. If you’re after facts, Wikipedia is just fine, as World Book Encyclopedia used to be. It’s even more accurate. Val Wineyard, above, is talking about the same type of facts. Nobody wants the kind of detail in a novel that needs footnotes. If you’re after the feeling, the flavour, the touch of the age, you have to dig deeper. I know the more I dig, the more interesting ideas I find, both for atmosphere and for plot. A simple fact such as an item of food can give a scene a great feel. And having written a historical novel, I can verify that having been to the actual setting, having walked the streets and immersed myself in the scenery, gave me a vibrant impression of the setting that seeps into the story without me even trying. Hallo Gordon, thanks for your comment! Yes, I love visiting places I’m setting a story in. And I think the distinction between fact and feeling is an interesting one – of course you have to remember you’re writing a novel not a history text book – which is another whole issue for novelists to think about! I agree with this Gordon – up to a point. The problem I have found with checking facts on Wiki, is that they vary. You can check a ‘fact’ one day and use that, but then when you attempt to return to the same Wiki page later, you find the page and its ‘facts’ have changed. Sometimes the original page is no longer there! For WW2 research I read everything I can find from and about the period, including fiction. I think Val has the right idea. Fiction is fiction. If you choose to use actual locations, actual accounts of history, then you will want to use the best source you can find. However, everything has a cost. Hi Ben, thanks for the comment. Yes, I think I would agree – always go for the best source you can find! Excellent essay, but Wikipedia does come in handy when you’re in the editing process and you need some fact checking. Each subject also often has a list of books, which can be a great source for historical research. And, best of all, one highlighted name can lead to other highlighted names and their histories, until you’ve forgotten what you were searching for in the first place. I spent years researching my 17th century historical novel, The Wolf’s Sun. As you said, research is half the pleasure. I want my readers to learn factual and social history from my novels, but also to read a good yarn. If an author makes blatant mistakes, but is calling it historical fiction, I know it’s unreliable, and I lose interest. As should all serious readers. Hallo Karen, Yes I don’t think it would be fair to say Wikipedia has no uses, and I did mention in the original talk that, like you, I do occasionally use it for getting references and book lists and so on. But it isn’t my first “go to” source by a long way! I turned to websites about wolves for research rather than relying on Wikipedia. I write fantasy, in my book wolves are a key component, so I wanted to make the wolves in my book as authentic as I could, even though a few parts of it are fictionalised, and I make a statement saying that in the back matter of my book. I think authentic research is key to every kind of fictional book written. if proper research is good for historical fiction because it makes what’s written authentic and true to reality, the same is true to other types of fiction as well, because it adds something to the voice of the story that makes that just as believable. That’s my experience at least for my book. Hallo Nathalie, yes that’s a good comment that research is key to any fiction. It’s not about the facts for facts’ sake but – as you say – making what you’ve written authentic. Nice post, and I heartily agree. I’ve written one historical fiction, and the research was half of the fun. I was able to find a book written in 1815 which detailed the life as a prisoner of the Bashaw of Tripoli after the USS Philadelphia was captured, and that was a vital part of my novel. I was also able to pull copies of letters sent by Marines back to the commandant during the war, which were fascinating, but also gave me interesting facts about the logistical and personal problems the Marines and sailors faced. I’m a stickler for details and accuracy, and one of the most accurate historical fiction books I’ve read about WWI was a romance about an Australian nurse. It was far better, in my opinion, than many military-genre books about the war. I found out that the author actually walked the battlefields in France and went through numerous archives in order to make her setting accurate. Hallo Jonathan – isn’t it exciting when you stumble across books like your 1815 prisoner memoir! And you’re right to give a reminder that doing research is half the fun! With all due respect, your post is like stating “Don’t get your history from the comic books,” or “from the daily newspaper.” Anyone who writes historical novels should know that Wikipedia is not the source for detailed history of any given period. But the Internet CAN BE. One can write historical fiction without leaving the office, and get it mostly right. For my historical civil war novels I used great internet resources, including the complete Official Records of the Civil War at https://ehistory.osu.edu/books/official-records. There are also numerous personal diaries and contemporaneous books of that period on line. True, I also traveled to Civil War battlefields, the National Archives and the Georgia History Society, but those visits were not critical to impart historical accuracy. In fact, the difficulty of using library archives to access material (the amount of time to retrieve just a single item, the often poor quality of the item (especially Civil War newspapers on microfilm, all but unreadable), made me limit my visits and return to the internet. At least there, if something is of no value, you haven’t wasted half a day finding it. Hallo Larry, yes I agree there are loads of fantastic resources on the internet, which I did mention in my original talk (this version is an abridged one). On the other hand, I think it adds depth to research if you can use a variety of sources. Which ones work for you will depend on what you’re looking for, what kind of author you are, what you’re writing and so on…but there’s a tremendously exciting variety of things we can look at and enjoy! Lovely glimpse into the joys and glories of deep research, Lucienne. Thanks. The real journal on which my debut novel is based is a treasure to me, and it has led me into wonderful paths of research. I have always counseled my students to treat Wikipedia as an interesting first stop on their search for historical material. I use it regularly that way, as you say you do. I think it would only count as ignoring it if you didn’t open the Wikipedia pages in the first place. And since Wikipedia IS open to editing, it would be a great service to add corrective research whenever you can, to change that 10% female contributor figure. Hallo Cindy, thanks for the comment. Yes I suppose I must be honest and say that one reason for doing research is that it’s actually enjoyable! Working from a real journal is a great way to go about it. And as you say Wikipedia can be a useful first stop. What I can’t understand is why you want this quality of research for a novel? A novel after all is fiction to entertain, it is not an academic text book with all research qualified and copious foot-notes added. How can you qualify, for example, what people ate and drank without giving footnotes to prove it, and then add the people’s conversation, which must of necessity be fictitious, as well as many of the events in a novel will be? I have noticed recently that the cross-over between fact and fiction is decreasing. in Biblical times, for example, there was no separation between the two. Now we have people writing novels – fiction presumably – and claiming it is non-fiction. Why not just publish it as non-fiction, as an historical account of someone’s life? A novel has to be accurate with the setting, in my opinion. I will put down a book if the writer plays willy-nilly with the facts. When a 15th century medical surgery is complete with chloroform and antibiotics, when an eagle snatches a woman and carries her off, when medieval knights munch on turkey or Roman centurions subsist on corn-on-the-cob (all things that popped up in recent books I’ve read–or started to read), I find that a sign of a lazy writer, and I will usually give up and put the book down. Fiction is fiction, but unless it is fantasy or a few other genres, it should be set in an accurate setting. Hallo Jonathan, thanks for the comment. Afraid I’m having a bit of a problem with my replies and you have Val’s for some reason which won’t make a lot of sense! I’ll see if I can get it sorted out…I think the point you make about how inaccuracies can spoil a story is a good one – and also that it depends on what kind of fiction you’re writing. I actually think playing around with facts can be a lot of fun & also read quite a bit of historical fantasy – but it all depends on what you’ve led your reader to expect – fantasy or historical fiction or magical realism or whatever? And the problem with the sorts of examples you give (antibiotics in the 15th century) is that they have the effect of wrenching the reader out of the story, out of the world you’re trying to create. Hallo Val, thanks for the comment. I agree that fiction is there to entertain, and I certainly wouldn’t suggest putting in foot notes! For me the research is actually an aid to the imagination – to the story – it’s the background, part of the world creation, a well I can draw from as I’m writing…and it’s also part of the pleasure of writing. After all, I’m writing books set in the 18th century because I’m interested in the 18th century, so why would I not want to know more about it? So in that sense it’s about a great deal more than “facts” (whatever they are) and “fact checking” for me. It’s an integral and organic part of the writing process. Totally in tune, Lucienne. I thoroughly enjoy my days in the Met Archives or one of the Record Offices (History Centres). Some are much more helpful than others. Always best to pre-book the references you need, but you never know what else you might come across while there. Bring gloves in case they’re rare records. Hallo Rosalind, thanks for this, it’s a good tip to pre-book material if you can – but as you suggest one of the great things about visiting archives is what you stumble upon by accident! On the question of gloves, a lot of archives now don’t use them as the view these days is that they can actually cause damage. But if gloves are required the archives usually supply some. And if you’re allowed to handle materials directly remember never put on hand cream first!